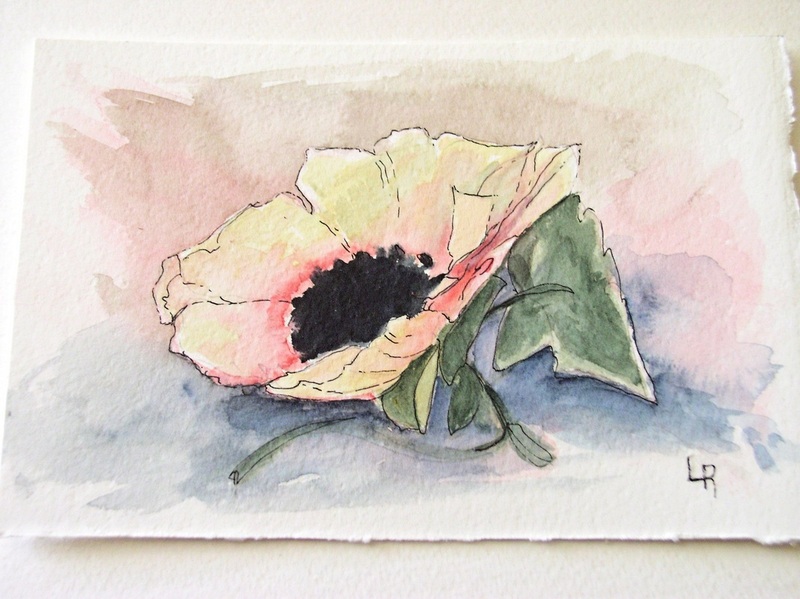 Floral Watercolor Anemone Garden Flower Botanical Nature Art Watercolor Illustration Original Artwork by Laurie Rohner. 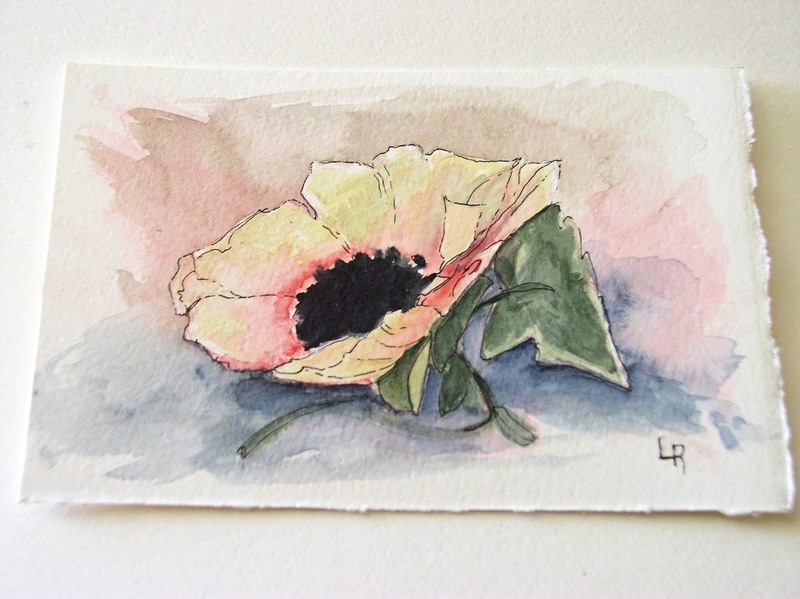 Original nature botanical watercolor painting of a woodland flower. 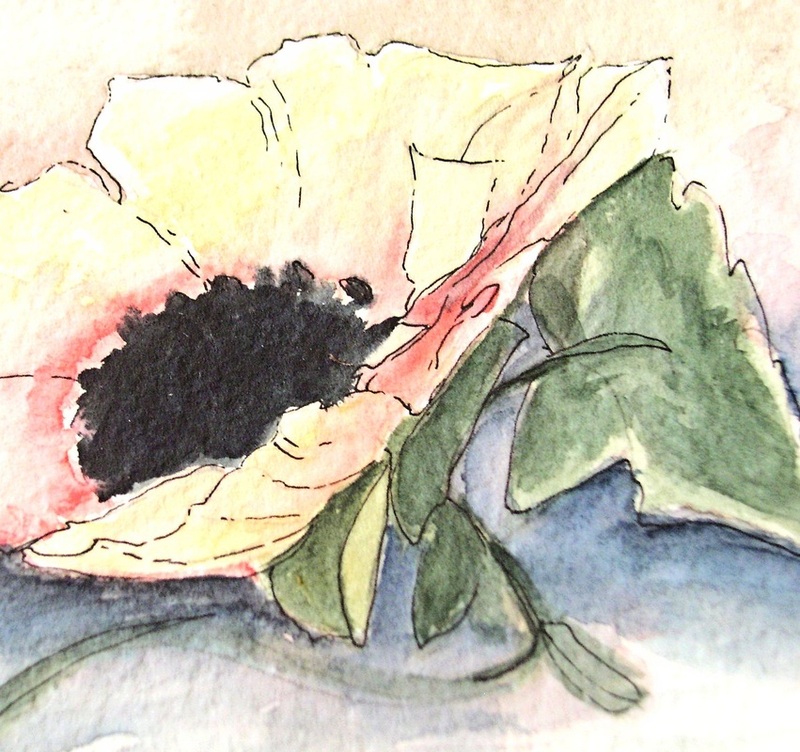 Anemone is a woodland botanical garden flower illustration and original nature art by Laurie Rohner. My botanical watercolor anemone is a creamy white with rose pink around the indigo center. This watercolor painting is taken from photos I took of wedding flowers from my days as a floral designer. There is a twist of ivy next to this gorgeous blossom.